My fruit bowls are crawling with clementines and navels, and to make the most of them, I’m going to make a nifty thing called compound butter. So simple to put together, it is just a combination of softened butter and flavorings, which is rolled in parchment or plastic wrap, chilled, then sliced into portions to serve on top of meat, chicken or fish, or even sautéed with vegetables. Last summer I made a roasted garlic compound butter from fresh garlic shoots, and tossed it in with spinach, it was a perfect way to get a little bit of that divinely sweet garlic in every bite. Compound butter also freezes excellently, so you can preserve your favorite flavors of the season for a later time. The butter only uses the zest of the citrus, which is perfect since I still have Tangerine Granita on the weekend menu. It couldn’t be easier to put this together, and there is endless variety to what combinations you can throw into the butter or put it on. I can’t wait until green beans are in season, this will be excellent on them. 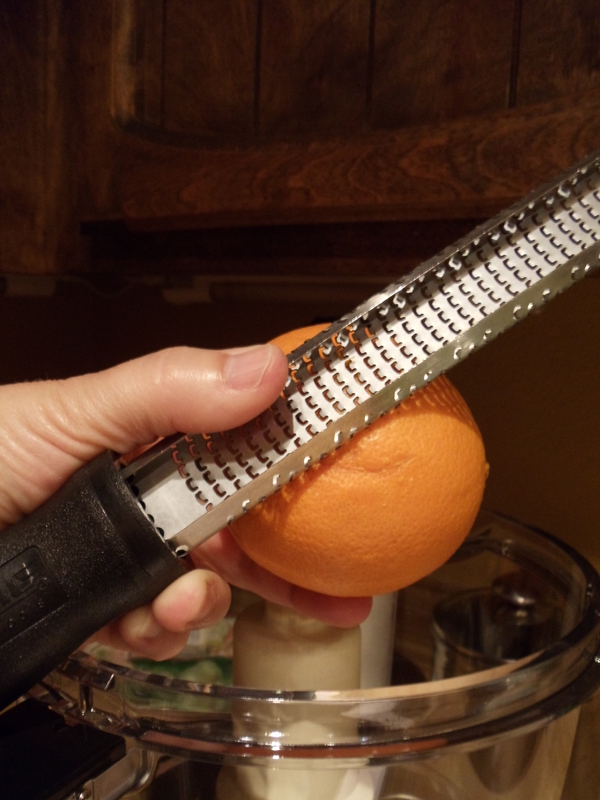 Use a microplane to zest the skin from the citrus. In a small bowl, mix butter with zest, herbs, garlic, and a generous pinch of salt and pepper. 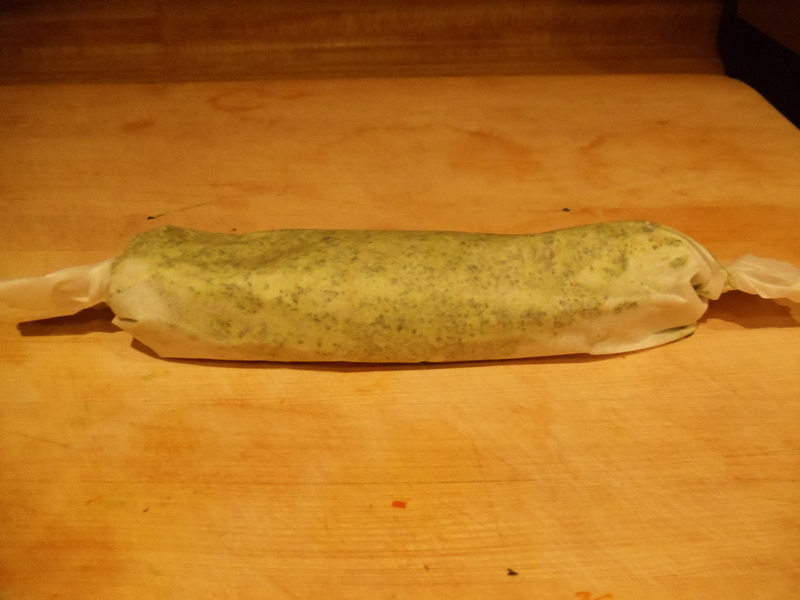 Wrap in parchment paper or plastic wrap, then roll into a log. Chill and slice into medallions to put on top of warm meat, chicken or fish, or heat in a pan to toss with cooked vegetables. Keep refrigerated for a week, or freeze for up to 3 months. 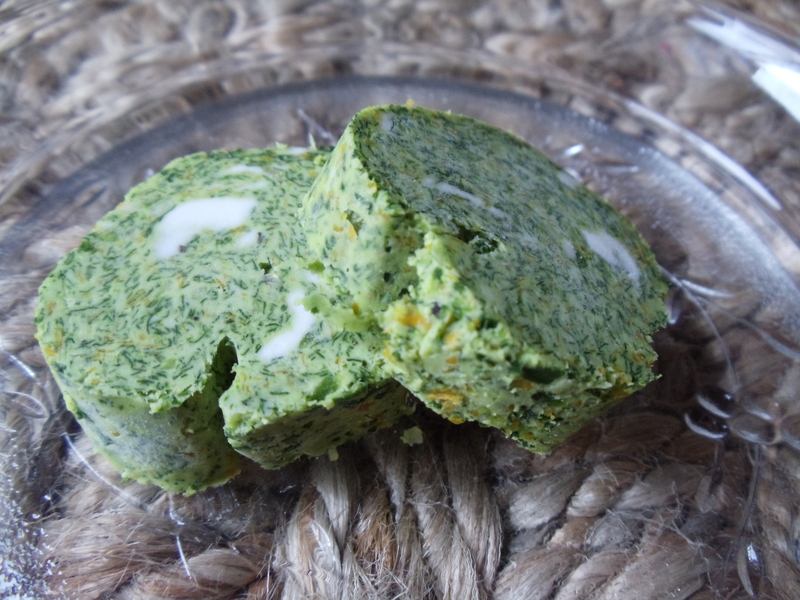 Roll the butter into a log and store in plastic wrap or parchment. Chill and slice.